Jockey Jamie Kah has made an instant impression after deciding to move from Adelaide to Melbourne. 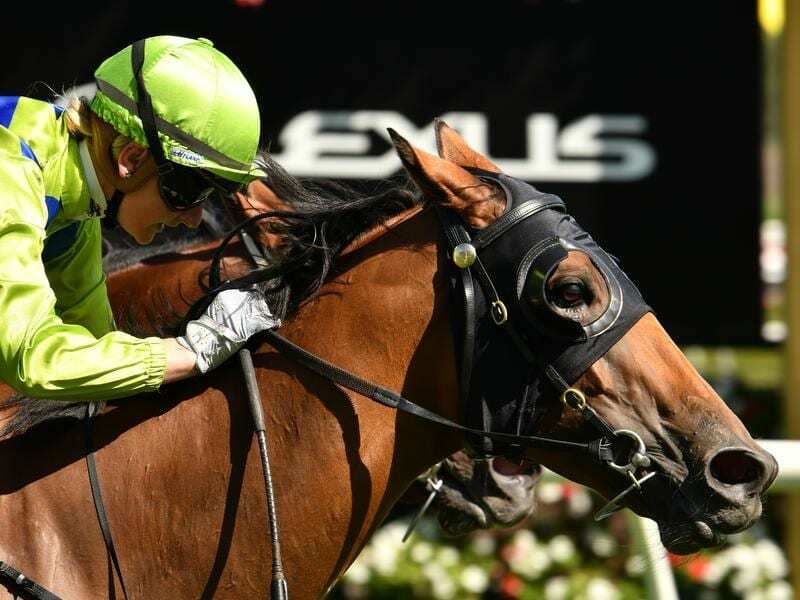 Only days after making the switch to Victorian racing, South Australia’s premier jockey Jamie Kah has made an instant impact with an upset feature race win aboard Belwazi in the Kensington Stakes. Trainer Jerome Hunter booked Kah for the ride on Belwazi in Saturday’s Listed 1000m race at Flemington after deciding to throw the mare into the race as a late nomination earlier this week. “I wanted Jamie for the ride because I have watched her in South Australia and horses just seem to travel so well for her,” Hunter said. “I thought we’re going to a big race and I knew she would be hungry for it. “It’s a really good start,” Kah said. “Obviously it was a bit tougher race for Belwazi today but she travelled so well and at the 400-metre mark I thought ‘she is going lengths better than anything else’. “I had to just hold her and keep her travelling for as long as I could and she probably still hit the front too soon, but she gave me a really nice feel. “I’m ready to do the work and drive everywhere for the first few months and really try to establish myself. “It’s paid off,” he said.